Below is a list of jury verdicts and settlements in Washington D.C. malpractice cases. If you look at these results without reading this introduction, you are going to be misled. First, if you are buying into the "urban city means guaranteed big verdicts and lots of malpractice claims," think again. There are less than a dozen malpractice cases filed in D.C. each year and a small number of those go to verdict and... a small number of those end in a plaintiff's victory. This is the reality: more than 80% of these cases seem to end in defense verdicts. The take-home message? This verdict and settlement data is useful - I think particularly useful to show to defense lawyers and insurance adjusters - but take it with a grain of salt. These are the winners. November 2018 - $3.6 Million Verdict. A two-week-old child suffers awful chemical burns as the result of an infiltrated IV line at Georgetown Hospital. June 2018, Washington D.C.: $8,500,000 verdict: plaintiff was driving near a parking garage at the intersection of First Street and M. Street SE in Washington, D.C. when the defendant allegedly collided with his vehicle. Plaintiff claimed various soft tissue injuries to his back and neck including disc herniation. Defendant disputed damages but admitted liability. DC jury awarded plaintiff total damages of $200,000. May 2017, Washington D.C.: $75,000 verdict: female plaintiff suffered a lacerated or severed common hepatic duct during a gallbladder removal surgery performed at Providence Hospital. The surgical injury required several corrective procedures, including an anastomosis and insertion of a choledochal stent. Plaintiff asserted that her treating surgeon failed to recognize the perforation during or after the operation and the hospital failed to monitor her post-operative recovery and failed to perform corrective surgery in a timely manner. Plaintiff settled her claims against the surgeon and the case against the hospital went to trial. A jury agreed that the hospital was negligent but awarded only $75,000. January 31, 2017 – $494,250 Verdict. A 56-year-old woman is admitted to the defendant hospital for abdominal pain. 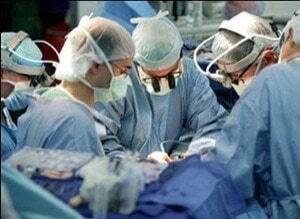 A CT reveals appendicitis, and defendant surgeon removes her appendix the following evening. At some point, her appendix ruptures and fills the operative field with an infection. This causes an obstruction and the surgeon lacerates her bladder. She has a second surgery done to repair her bladder but claims she is left with permanent chronic urinary urgency. The woman claims that the failure to timely perform the appendectomy led to the rupture of her appendix. Defendants argue that bladder perforation was a known risk of the surgery and that the appendix ruptured as it was being removed. A jury found for the plaintiff and awarded her $322,250. They also awarded her husband $150,000 for his loss of consortium claim. March 23, 2016 – $500,000 Verdict. A 35-year-old man goes to the defendant's ER and he is evaluated by the defendant physician. He has dizziness, dehydration, vomiting, and diarrhea. The man is hospitalized for three days with high blood pressure, high blood glucose, and weakness. During his stay, a standing X-ray is done. During the X-ray, the man falls and fractures his femur. Surgery and hardware are required to fix the fracture. He files this case against the doctor and hospital alleging negligence in failing to perform a fall risk assessment prior to conducting a standing X-ray. The doctor is dismissed from the case, and the hospital argues that the man assumed the risk when he agreed to the X-ray. A jury awarded the man $500,000 against the hospital. May 8, 2015 – $3,350,276 Verdict. An adult man is having an exploratory left popliteal artery angiogram done by the defendant, a cardiothoracic surgeon. The man has a history of vascular disease, allegedly making the procedure unnecessary. After the procedure, the man suffers a restricted blood supply to his left lower extremity, ultimately resulting in an above-the-knee amputation. The man claims that his symptoms could have been managed with medication instead of the procedure. Defendants claim that the man's pre-existing vascular disease would have resulted in the loss of his leg regardless. A jury awarded the man $2,750,276.16 and awarded his wife $600,000 for her loss of consortium claim. The judgment was later reduced to a total of $1,116,758.12. April 20, 2015 – $600,000 Settlement. A woman has a gastric bypass procedure done and she is discharged from the hospital three days later. The next day, she calls the defendant surgeon to report vomiting and nausea. She is instructed to return to the hospital, where she also reports severe abdominal pain. The surgeon diagnoses her with dehydration and malnutrition, and fluids are administered. Her pain increases overnight and into the next morning. potential is done almost 26 hours after her admission to the hospital. Five hours after the scan, the defendant surgeon reviews it and finds a bowel obstruction. During surgery, he finds a significant amount of bowel leakage. After surgery, the woman experiences respiratory failure, and her condition rapidly deteriorates. She dies from sepsis. Her Estate files this claim, alleging the defendants failed to timely perform a CT scan to diagnose her blockage, and that they failed to timely perform emergent surgery. Defendants argued that she was properly observed and that nothing they could have done would have changed the outcome of the case. The parties settled for $600,000. September 15, 2014 – $500,000 Settlement. A 57-year-old woman goes to the hospital for spinal decompression surgery. She has a past medical history of hypertension and hyperlipidemia. The surgery is done under general anesthesia. Three days later, the woman has chest pain and asks for medication. Defendants perform an EKG and give her narcotic pain medication. Shortly after, the woman is found pulseless, resuscitative efforts fail, and she is pronounced dead. Her Estate files this medical malpractice claim, alleging that the woman suffered fluid overload and developed pulmonary hypertension and congestive heart failure. They claim that the appropriate pre-operative tests would have revealed she suffered abnormal cardiac function, resulting in a modification of care. The parties settle the claim for $500,000. June 26, 2014 – $400,000 Verdict. A woman is having a C-section done at defendant hospital. When the woman's baby is born, it has bruising, skin discoloration, swelling, necrotic tissue, infection, scarring, and a scalp hematoma. His parents allege that the defendant's negligence caused their baby injuries, specifically the failure to monitor and treat the baby's intravenous line infiltration and to prevent the spread of I.V. fluid or medications once they leaked into the tissue. The defendants deny liability but a jury awards the plaintiffs $400,000. March 31, 2014 – $436,726 Verdict. A 70-year-old woman has lens implantation surgery in her right eye by defendant ophthalmologist. Within a few weeks, she is referred to a specialist who diagnoses her with suprachoroidal hemorrhage and choroidal detachment of her right eye. Surgery is attempted to fix it, but it is unsuccessful and she is left with a permanent loss of vision in her right eye. She files this claim, alleging that she reported pain to the surgeon during the procedure and the following morning. She claims that the surgeon failed to diagnose her with a choroidal hemorrhage and that he should have stopped the surgery when she complained of pain. She alleges that the delay in referring her to a specialist led to the permanent loss of vision in her right eye. A jury awarded the woman $463,726. February 5, 2014 – $120,000 Verdict. A woman goes to the defendant to have her kidney disease and inflammation managed. Defendants prescribe the woman an allegedly inappropriate dosage of Prednisone, resulting in overdose symptoms. Due to the overdose, she suffers kidney failure, toxic epidermal necrolysis (a potentially life-threatening dermatologic disorder), severe edema, fluid leakage and abdominal pain leaving her permanently disabled. Defendants fail to treat her overdose, and do not admit her to the hospital. The defendants disputed liability and the extent of the woman's injuries, but a jury awarded her $120,000. January 13, 2014 – $1,500,000 Settlement. A three-month-old infant goes to defendant hospital for eye surgery. During the surgery, an antibiotic is administered directly into his eye, instead of saline solution. As a result, the infant is left permanently blind in his right eye. His parents bring this claim against the hospital, alleging their negligence caused the infant to suffer blindness in his eye. Since the infant already had a visual impairment in his left eye, he is rendered nearly completely blind. The parties settle before trial for $1.5 million. May 1, 2013 – $650,000 Verdict. A 59-year old man is recovering at the defendant hospital with an abscess on his right buttock. He has risk factors for the development of blood clots. Defendants fail to prescribe the man any anticoagulants to prevent deep vein thrombosis and pulmonary embolisms. He develops a pulmonary embolus, due to deep vein thrombosis, and requires below-the-knee amputations on both legs. The defendants claim that the amputations were not related to the pulmonary embolism. A jury awards the man $650,000. April 1, 2010 – $6,950,000 settlement; the plaintiff alleged that the defendants failed to adequately monitor the fetus, reduce Pitocin, and timely deliver the baby, resulting in severe brain injury following the baby’s birth; the child will be unable to participate in normal activities for the rest of her life, nor will she be able to care for herself; she will need specialized treatment and 24/7 attendant care. Our medical malpractice attorneys handle medical malpractice claims in Washington DC. If you have been injured by medical malpractice in the District of Columbia, call our lawyers at 800-553-8082 or get a free consultation. Please note: The above is an extremely unscientific sampling of medical malpractice verdicts and settlements. We pull settlements and verdicts on this website from a variety of sources, including our own cases. There is no methodology to which cases are selected, and they are certainly not representative of the value of your case or your client's case. Each medical malpractice case in the District of Columbia should be evaluated on its own merits.